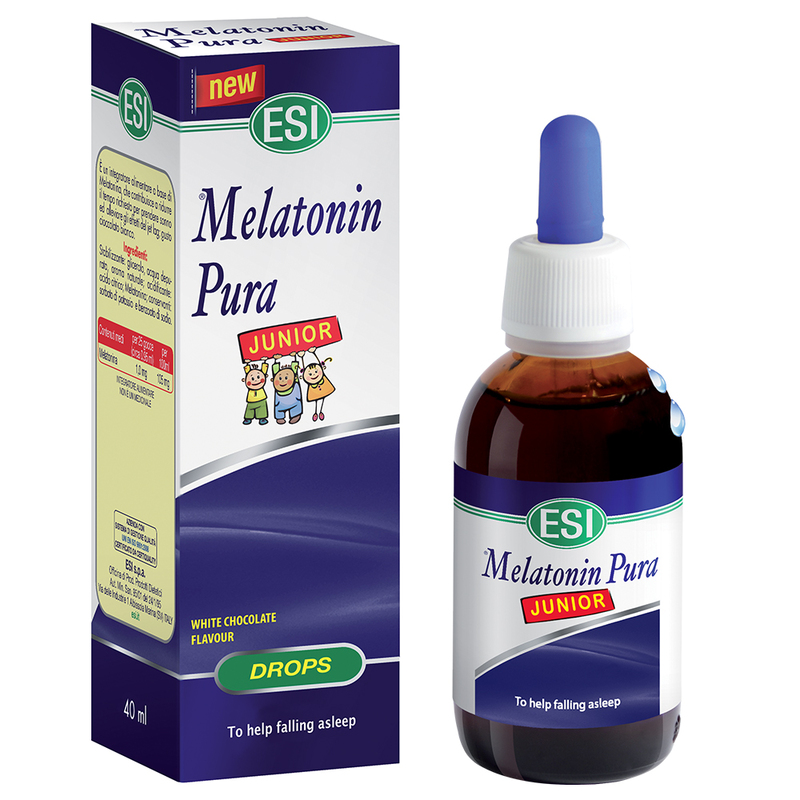 Melatonin Pura Junior drops - ESI S.p.A. - ESI S.p.A. This is a Melatonin-based dietary supplement that helps to treat jet lag and reduces the time that it normally takes to fall sleep; it tastes like white chocolate and is alcohol and colouring free. take 25 drops either directly in your mouth or diluted in some water. Warnings: Excessive consumption may produce a laxative effect. Keep out of the reach of children under the age of 3. Do not exceed the daily recommended dosage. Supplements should not substitute a balanced diet and a healthy lifestyle. Discontinue use while pregnant and/or while breast feeding.